Everyone has those days when they just can't be bothered putting in the extra effort with their makeup, or their clothes, or their hair, for that matter. I'm exactly the same, and with all the time I was spending on the wedding, and work, and the blog and YouTube channel, I've been extra, extra not bothered with my makeup and hair. I still personally like looking at least decent on a daily basis, though (I am a beauty blogger, after all, and I have no eyebrow hairs to speak of, so really, walking around with no makeup at all is not really an option). 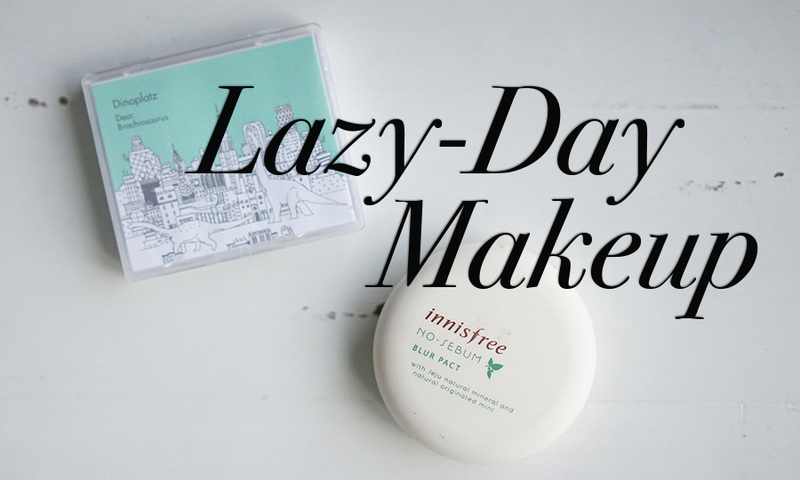 So I came up with a super quick, perfect makeup routine that takes up only the tiniest sliver of my morning, leaving extra time for more important matters, like hitting the snooze button on my alarm clock. Let's start with our base products. For base, I like going with products that are easy to apply, blend, and give good coverage. 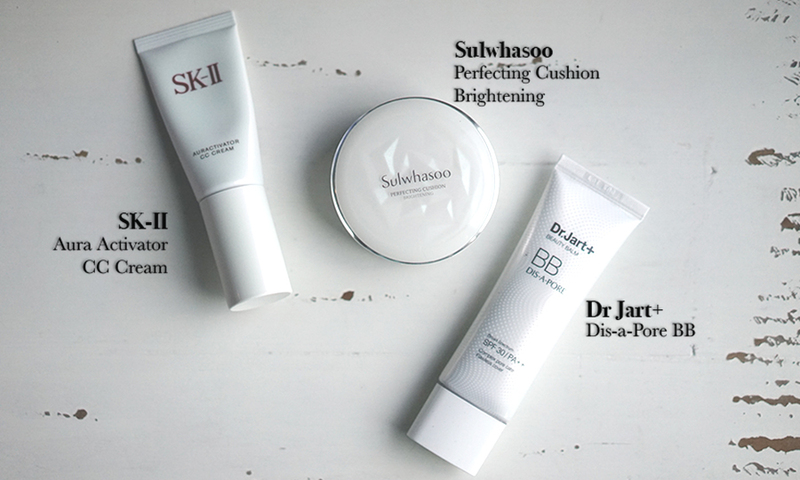 I love the Sulwhasoo BB cushion because it's super easy to apply and already comes with an applicator sponge. If you've got dry skin, I highly recommend both the SK-II and Dr Jart base products because they give the skin a lovely glow. All 3 products give you amazing coverage. In true Korean fashion (BB and CC creams are a massive Korean trend), all products come in limited colours and tend to suit those with medium to fair skin tones. Now moving on to the eyes.. Cream eyeshadows are the easiest, quickest way to add definition and dimension to your lids. My favourites are listed (and pictured!) above, and I choose them based on the look that I'm going for. For more control (especially if you're looking to create a look using different colours) then the Bobbi Brown Long eyeshadow sticks are perfect. I love the L'Oreal eyeshadows (not available in Malaysia, sadly!) for a pigmented, shimmery wash of colour on the lids, and the Dior ones are more for a lovely shimmer with a very light tint of colour. I have a few eyebrow pencils that I like at the moment, but this is by far my favourite. It comes angled, and is twist-up so it maintains its shape and doesn't need any sharpening. The best thing about it is that it's pigmented, and stays pretty sharp at the edges, which tends to be a bit difficult with twist-up pencils. I never skip the eyelashes if I want my eyes to look pretty and awake on any given day! 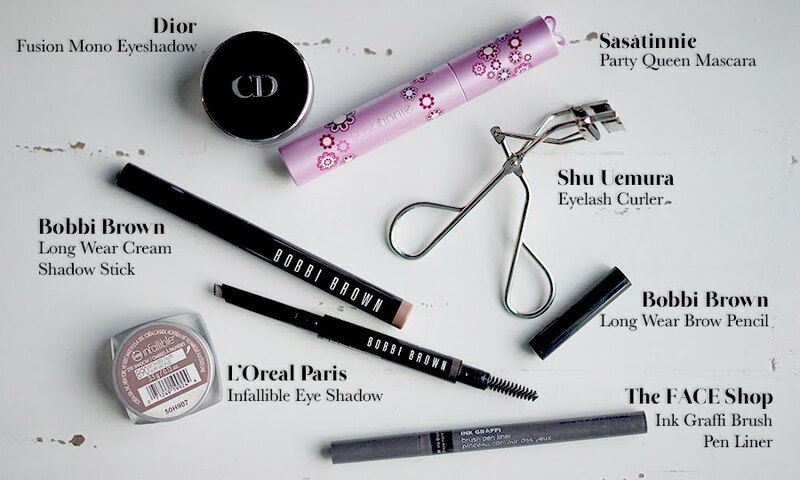 The Shu Uemura eyelash curler fits my eyes perfectly and curls well, and the Sasatinnie mascara is my absolute favourite - it keeps the lashes curled all day long! My favourite lazy-day lipsticks are ones that don't require a lot of touch ups or precise application, but still give me the effect that I want. For that, I always opt for balm-like lipsticks. 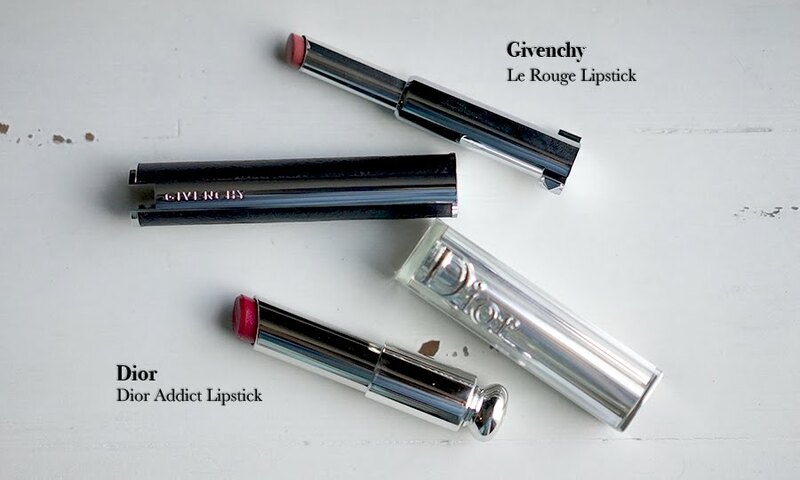 My current favourites are the Dior Addict lipsticks (new formula) because the colour and formula are done just right, they're glossy, and I always feel like a movie star when I wear them; and the Givenchy Le Rouge (not so glossy) because they're very convenient and slim, so they are great to pack into your purse or makeup bag for everyday use. And finally, my favourite two products for surviving that Malaysian humidity. These blotting papers are my favourite because they come in a compact case, and you can pick up the papers and blot your face with their applicator, which looks like applicator sponges in a powder foundation case. They're so convenient and chic! [I bought mine from Althea Malaysia, a Korean beauty site that ships straight to Malaysia at great prices that are closer to the actual prices of these products in Korea]. 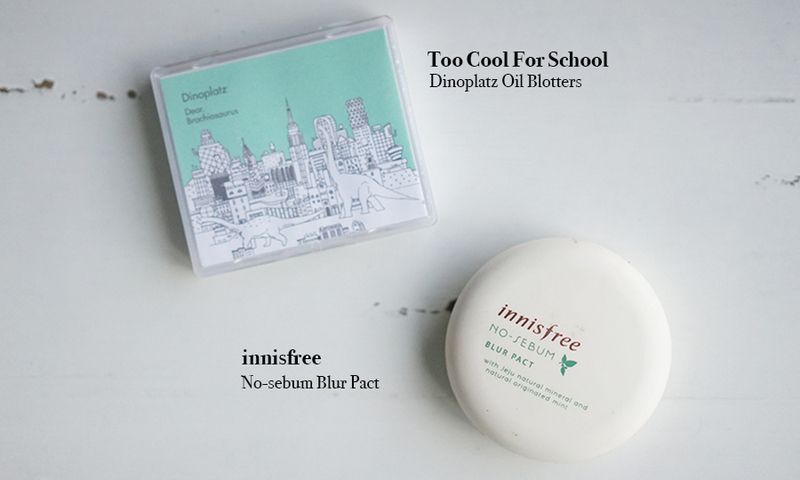 The Innisfree No Sebum powder is a product I always apply after all my makeup, so my skin stays as matte as possible, for as long as possible. The powder also blurs imperfections on the skin (hence its name), and makes it more selfie-friendly *wink*.